The Yorkshire Urban and Rural Teaching Partnership is a social work teaching partnership between four local authorities and two universities in West and North Yorkshire. We are working collaboratively to deliver inspirational education and training that leads to high quality social work. The partnership is led by Social Work Senior Managers within local authorities. It brings together Principal Social Workers, Workforce Development leads, Social Work academics and researchers, frontline practitioners and young people and adults who have experienced social care. We are committed to working together to improve what we do and how we do it. We believe that inspiring, person centred and relationship based social work delivers transformational improvements in outcomes for people and their communities. By working collaboratively across our partnership we aim to grow, develop, inspire and sustain a highly skilled and confident social work workforce, able to meet the diverse challenges of frontline practice with children and adults. Improve the public perception of social work, promote and encourage awareness of the value of the profession and the different career pathways. Why social work teaching partnership? In the last few years the government has commissioned two reviews of social work education. These reviews promoted a series of recommendations aimed at delivering improvements in the social work workforce. 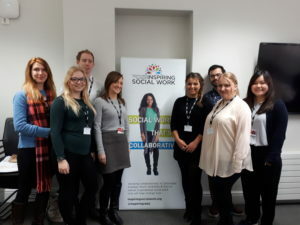 We are one of 15 accredited social work teaching partnerships funded to develop innovative new approaches to strengthen the quality of education and training for social work students and the existing workforce. 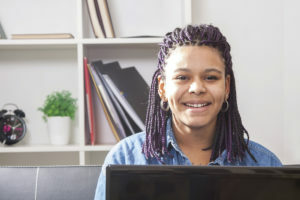 If you’re considering a career in social work, a qualified Social Worker within the partnership, or interested in coming to work with us check out the information in the rest of this website. See how our social work teaching partnership can support you at every stage of your career; providing information on the latest learning and development opportunities, academic research and practice developments and job vacancies within our partner organisations.